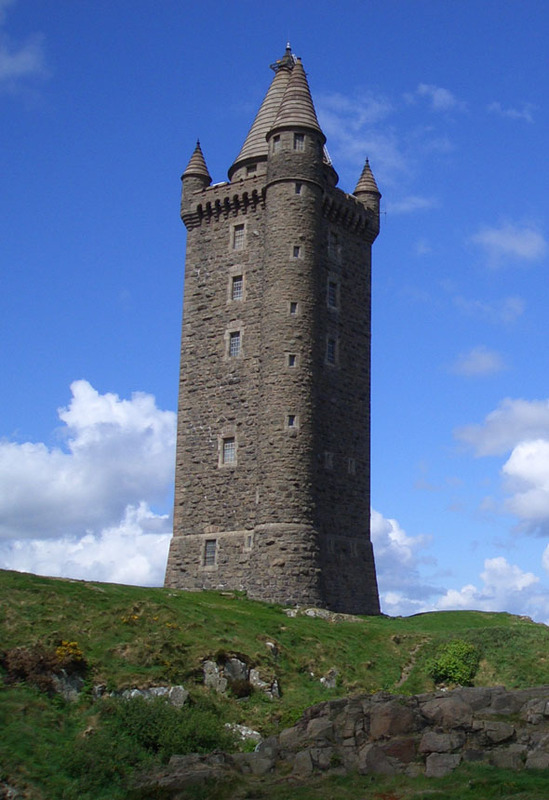 Erected in 1857, the Tower was built by local people as a monument to Charles William Stewart, 3rd Marquess of Londonderry. The marquis was a local landowner and nobleman with a distinguished military and diplomatic career. Following his death in 1854, meetings were organised to discuss how the Marquis should be commemorated. On December 27 1855, the question of the design of monument was considered and it was decided to make the issue a competition. The architect’s designs were to be received before February 1 1856. No particular kind of monument was required, but an obelisk or tower would have a preference. Two prizes were offered – £20 and £15 – and the cost of the work was not to exceed £2000. Four designs were considered. The one placed first was an obelisk by William Barre of Newy, the second a tower by J. Boyd of Belfast and the other two were towers by Daniel Hanus, assistant county surveyor and Charles Lanyon, whose design was placed fourth. The design was possibly by his then assistant W.H. Lynn. When tenders were received the first three cost more than £2000 and Lanyon’s design was adopted because it came within the specified outlay. The winning design of Barre was priced by Messrs McLaughlin & Harvey, Belfast, at 20 per cent above the proposed cost of £2000. Barre was outraged and claimed that the process was rigged against him. He later re-used the design, in a scaled down form for the Dawson Monument in Monaghan. The ironic outcome was that the Lanyon design ultimately proved too expensive and the design was altered in order to reduce the costs. The tower was therefore shortened, the small turrets were reduced in size, the buttress walls were deleted and the interior left incomplete. Yet the Tower still cost much more than planned, the eventual cost being over £3000. This tower is 125 feet (41 metres) high. The walls are over a metre thick and the entire building is constructed of stone from Scrabo Hill. The walls are of the dark dolerite rock, which forms the summit of the hill, while the roof, stairs, quoins and window dressings are of Scrabo sandstone.